Don't tap dancers wear special footwear with metal on the bottoms? And don't ballet dancers put on those weird little slippers before going out on stage? So why wouldn't you wear work boots that are specifically designed for work? 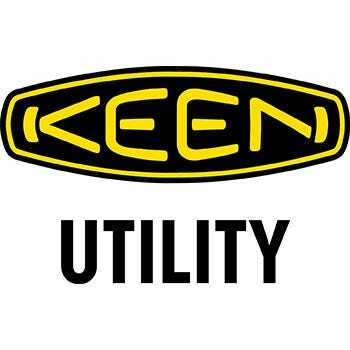 And here's the thing: KEEN Utility ... (see full details) (see specifications) #KEN1007009. Don't tap dancers wear special footwear with metal on the bottoms? And don't ballet dancers put on those weird little slippers before going out on stage? So why wouldn't you wear work boots that are specifically designed for work? And here's the thing: KEEN Utility Detroit 1007009 waterproof hikers won't ever be confused with tap shoes or ballet slippers. This high-cut, athletic footwear is constructed with Nubuck leather and black sole accents. Nubuck is soft and fuzzy like suede, but it has all the pliable durability of full-grain leather. In these KEEN Utility hikers, the Nubuck leather is also waterproof to keep your feet dry, even in wet weather. Thanks to KEEN Utility's waterproof membranes, these men's boots stand tough against water so you can continue to get the job done. Reflective webbing lights up even in the dark of night, turning these soft toe boots into high-visibility safety footwear. Dry-Lex lining, constructed to wick moisture, gently absorbs sweat to keep your skin even drier. The lining has hydrophobic/hydrophilic 2-zone comfort technology to give you more support - and cushioning. The Metatomical footbeds, made with two layers of lightweight EVA foam, have been anatomically designed to support arches and cradle heels. Made to be removable, the soft footbeds are easy to clean for odor control. Contoured heel locks help stabilize and support steps. Dual-density EVA foam was used again to create the midsoles, adding more cushioning support to the lightweight design. For even more support, torsion stability ESS shanks lift your arches and prevent muscle strain. Designed with KEEN Grip technology, the non-marking rubber outsoles are made in a no-slip, traction-friendly design. The soles are tested to meet ASTM F1677-96 MARK II slip-resistance safety standards. Oil-resistance protects the tread from corrosive chemicals. Wear the right shoes for the job you're doing so choose these KEEN Utility Detroit 1007009 hikers. Order your pair from the Working Person's Store today. This was previously listed as style u401 31. I have several Keen shoes and boots and can't say enough about them. These Detroit boots are no different. They provide excellent waterproof protection from their own "Keen Dry" membrane that allows your foot to breathe. You can take these boots right out of the box and work all day. Fit true to size, but if you wear thick heavy socks like I do, order a half size larger. Keen's foot-bed conforms to your foot to make it a real comfortable fit. You won't regret buying these. I had to wait awhile to put these boots to the test. And test I did, yea these are good boots for the money definitely. When ever these wear out I'm buying the exact pair again. Well made and durable. My first fit out of the box was perfect. Conformed to my foot easily and broke in nice. Tread takes abuse and is flexible but good support at the arch. Yea buy em you wont be disappointed. These boots are super comfortable the second you put them on. Very well constructed, they will outlast all your other shoes. Keen puts a lot of thought in their design. Workingperson got them to me at a bargain. 5 stars! I bought these hiking boots because I was looking for a good comfortable waterproof boot. These are just that. The fit is true to size. It was raining the day they arrived so on they went and outside to try them out. I walked through every puddle and wet grass I could find for about an hour. They held up just fine, feet stayed dry. They are very comfortable and seem to be well built. Would highly recommend these. KEEN Utility 1007009 Men's Detroit Hikers is being added to your cart.